WHIR-HONK, WHIR-HONK, WHIR-HONK...that’s the sound of a 2015 Cadillac Escalade going ballistic. 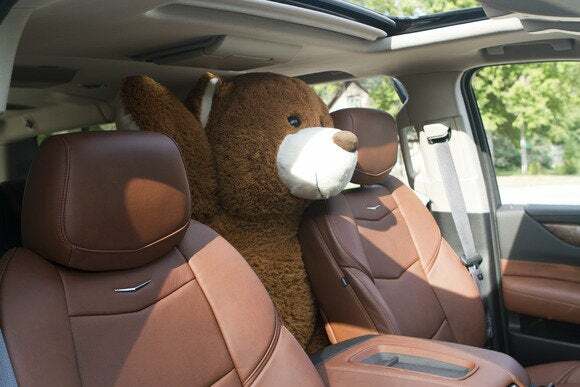 It doesn't matter if you're a real thief or a three-foot stuffed bear—the Escalade's new motion-sensing technology can stop someone from stealing your stuff (or the SUV itself)—or at least deafen them in the process. The Escalade isn't the only luxury car with some form of theft deterrence, of course, but it has a few distinctive touches. If you try to tow it, a tilt sensor sounds the alarm. The heavily laminated front windshield has a sensor that triggers the alarm if it detects a breakage. Shields along the door block a “slim jim” from being inserted. And the concierge service can dispatch two armed guards in dark sunglasses who sit in the third-row seat at all times (not really). Just try to get into (or out of) this car when it's locked. Just try. The 2015 Cadillac Escalade has motion sensors that activate to detect intrusion. Of course, it’s a tough sell to Cadillac, asking them if I can break the glass or jimmy the door locks. 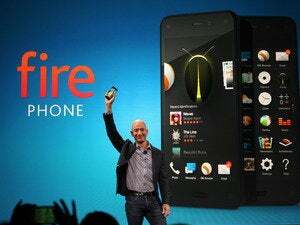 Triggering the motion sensors without losing my hearing? That's where the bear comes in. 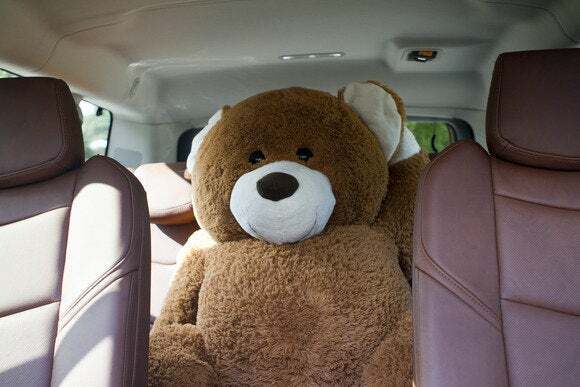 A bear can't even check for quarters in the center console without off the motion sensors in the 2015 Cadillac Escalade. The motion sensors, situated just above your head near the overhead light switches, look like two mini blow-horns. There’s no way to adjust the motion sensitivity. How sensitive are they? 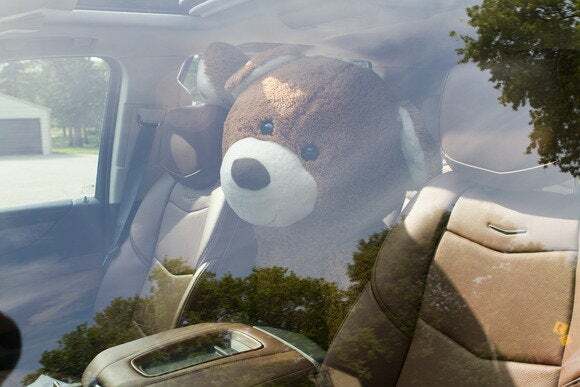 I pushed the Teddy Bear down even further between the seats and jerked the cord only slightly, but that was still enough to trigger the alarm. You can disable the motion sensors using a switch in the overhead console. Don't move or the bear gets it. I can imagine a few crime-prevention scenarios. If you leave all of the windows down but lock the doors, you can expect the alarm to go off if someone tries to steal your iPad. If you leave the Escalade unlocked and someone sneaks inside, then you lock the doors and walk away, you’ll also appreciate the motion sensors. 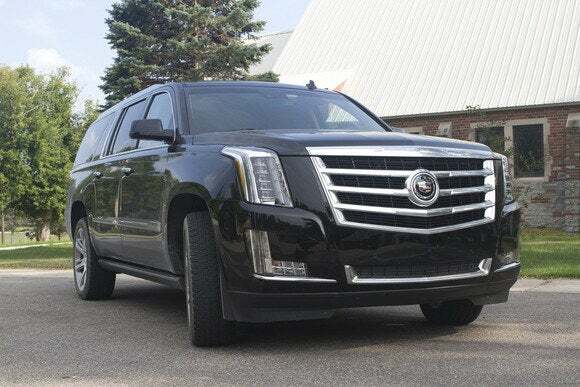 This story, "Move and I'll scream: Motion alarms freak out intruders in 2015 Cadillac Escalade" was originally published by TechHive.